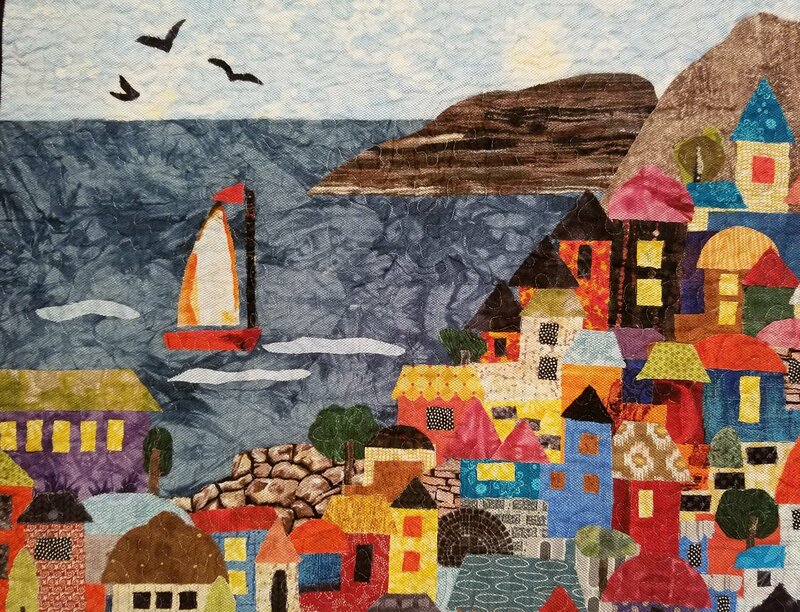 Debra Shelley will teach us how to create our own" City on the Ocean" using her Fabric Art Technique! I have enjoyed making quilts of all kinds starting at the very young age of eight. My first memory of cutting and sewing fabric was while I sat under my grandmothers quilts and pretended to make my own little four patches. I was just cutting fabric up and sewing it back together with a needle and thread. Many things changed over the years as I was taught the 9 patch, bow tie, pin wheel and many more patterns by my grandmother. I have made over 200 traditional and art quilts for my children, grandchildren, friends and family members. But, what I really love most is making art with fabric. There are many techniques to choose from and the one I'll be teaching in this class is simple and fun. My grandchildren have enjoyed making their own art quilts which reminds me to be childlike and curious when playing with fabric! The pattern and kit are required and are included in the class fee.